After a 13th place finish last season, West Ham have entered the transfer market this year with their eyes set on improvement. 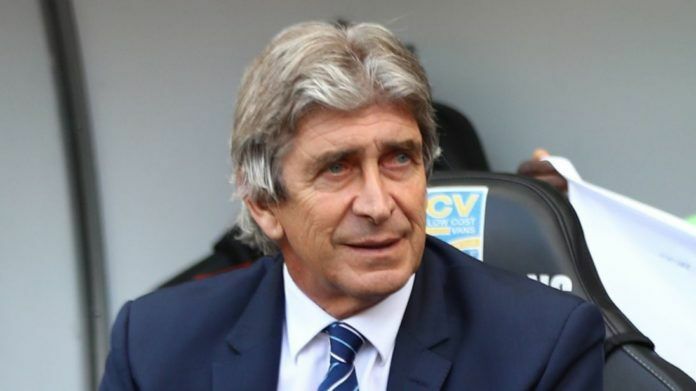 After two drab seasons with Slavin Bilic and David Moyes in charge, the hammers board opted for the appointment of Manuel Pellegrini, a coach notable for his attacking style of play, in particular during his time at Manchester City. The board, who were coming under increased pressure from the supporters towards the back end of the season, have opened their wallet this summer, spending nearly £90 million on new signings already. It’s not just the amount of money spent that leads me to believe that West Ham could be on for a successful season, it’s the type of players they have bought. best centre backs in Ligue 1 lasts season. Diop is an aggressive front foot defender who had 2.2 interceptions per game lasts season, the fourth most of any centre back in Ligue 1. He is blessed with not only a 6ft 4, but both pace and strength, making him ideal for the Premier League. Balbuena while not as impressive as Diop, is certainly an upgrade on West Ham’s centre back options last year. Another aggressive centre back, with good anticipation and reading of the game, Balbuena does however lack the pace that Diop has and thus may require a more defensively narrow full back like Aaron Cresswell to be paired next to him. In midfield West Ham have brought in Jack Wilshere on a free which will add some creativity to a slow, rigid central midfield that West Ham have had with the likes of Obiang, Noble and Kouyate playing in the centre of the park. In comparison to Noble and Obiang, Wilshere is a far better offensive outlet. In 2016/17 with Bournemouth, Wilshere racked up 2.1 dribbles and 1.3 key passes per game, whereas Obiang managed 0.3 key passes and 1.1 dribbles last season and Noble had 0.7 key passes and dribbles last year. This shows that Wilshere should give West Ham greater creativity from deep and inject a high tempo into the attack with his ability to dribble past opponents, which West Ham have lacked since the departure of Dimitri Payet. West Ham still may be in the market for another central midfielder to replace Obiang or Kouyate if they depart but even if the two remain, the hammers midfield is significantly offensively stronger than it was last season. a top class dribbler and creator who should be played in a central position and made the key point of the hammer’s attack. Anderson who is without doubt Champions League quality could be the man to replace Payet’s creativity and goal scoring ability. Marko Arnautovic’s second half to last season suggests that in the Austrian, West Ham have their perfect centre forward, with pace and power to make the runs for Anderson and Wilshere to find with through balls and key passes. behind Arnautovic and I would predict that he will be West Ham’s star. He has already proved himself in Serie A and his rate of key passes and dribbles suggests that he has the output to back up his ability. If Pellegrini does deploy Anderson centrally and maybe adds another ball winner alongside Wilshere then West Ham could be a dark horse to break into the top six this season.